Do You Know These 6 Secrets about The Grand Floridian? Inspired by the grand Victorian seaside hotels of yesteryear, the Grand Floridian Resort and Spa’s sophisticated design was modeled to evoke Palm Beach’s golden era. Today, many Disney-goers think of a stay at the luxurious (and, naturally, rather expensive) Grand Floridian as a “bucket list” item. 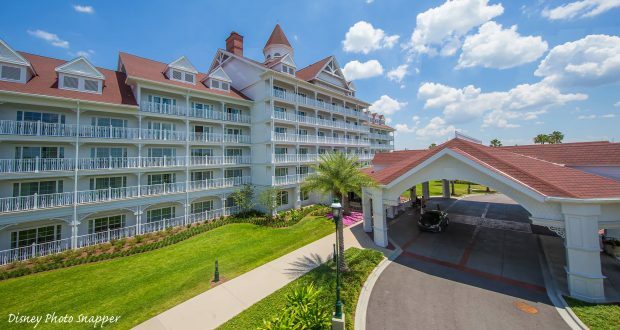 Here are six secrets you may not know about the Grand Floridian Resort and Spa. 6. You Can Relax and Unwind at an Award-Winning Luxury Spa. Though the full name of the resort is the Grand Floridian Resort and Spa, many guests have never been to Senses spa. Senses Spa and Fitness Center features 15 rooms and offers treatments ranging from nails and body wraps to aromatherapy, facials, and massages. Considered by many locals to be one of the best spas in the Orlando area, Senses is a relaxing retreat designed to evoke a serene Floridian garden at the turn of the 20th century—and, as such, provides therapies that feature Florida citrus and botanicals. 5. You Can Have a Spot of Tea With Your Favorite Princess. Reservations for princess character dining at Cinderella’s Royal Table in the Magic Kingdom or Akershus in Epcot can be hard to come by, but many families aren’t aware that the Grand Floridian’s Perfectly Princess Tea serves up a whole new princess experience for little girls. The special event features music, storytelling, parades, singing, and dancing, and all while little girls and their families experience a royal courtly tea complete with apple juice, sandwiches, and Princess Cake. And, of course, guests might just have an opportunity to meet and take photos with one of their favorite princesses. 4. It’s the Perfect Place to Celebrate a Special Occasion. It seems only appropriate that the deluxe Grand Floridian Resort and Spa is home to some of the finest dining experiences on the Walt Disney World property. Tucked inside the resort are three of the most upscale fine dining experiences that are worthy of your next special big anniversary or birthday—just be sure to change out of that Mickey shirt before your meal! The opulent Victoria and Albert’s serves modern American cuisine with ingredients sourced from all over the world, and is the recipient of AAA’s prestigious Five Diamond award, while Citrico’s is known for its American cuisine infused with Mediterranean flavors and award-winning international wine list. Narcoossee’s is a the resort’s popular waterfront dining option, which features coastal cuisine and, better yet, offers some of the most breathtaking views of the Magic Kingdom fireworks and Electrical Water Pageant. 3. You Can Watch the Fireworks—Without Fighting the Crowds. While it’s a coveted Disney experience to watch Wishes from right in front of Cinderella’s Castle, some Grand Floridian guests may not realize that you can also enjoy the fireworks right from your resort. The Magic Kingdom’s fireworks show can be viewed at various locations throughout the waterfront resort; try hanging out just outside Gasparilla Island Grill, the resort’s quick service dining location, as well as the boat dock (where you should also be able to hear the soundtrack). You may also be able to catch the Electrical Water Pageant from the boat dock, or create a truly magical memory by watching the Magic Kingdom’s evening entertainment from the resort’s white-sand beach. 2. You Can Catch a Live Music Performance. If you want to enjoy some other special entertainment during your stay, be sure to build some time into your itinerary to hang out in the soaring five-story lobby of the Grand Floridian. The main lobby regularly offers live music performances, including a pianist (most likely wearing a tuxedo) and singer in the daytime, and you might even be lucky enough to hear the full orchestra playing in the late afternoons and evenings. The refined orchestra entertains guests with ragtime, Dixie, traditional jazz and, of course, popular Disney favorites. 1. There Are Plenty of Disney Touches, Courtesy of Walt Disney. While the Grand Floridian may not be as obviously Disney themed as resorts like Art of Animation, when originally developing the first resort hotels at Walt Disney World, Mr. Disney envisioned hotels that mirrored the lands found within the Magic Kingdom—think the Polynesian Resort for Adventureland, and the Contemporary Resort for Tomorrowland. The Grand Floridian was conceptualized to reflect the Victorian charm of Main Street USA. Designed by the Disney company and executed by the architectural firm Wimberly, Allison, Tong & Goo, the Grand Floridian’s main building features a lobby, stained glass domes, and a replica cage elevator…and if you look closely, you can see that the Italian marble floors feature inlays of various Disney characters. And if you choose to stay in one of the hotel’s 25 sumptuous suites, you might just end up in a room named for Walt Disney or Roy Disney.